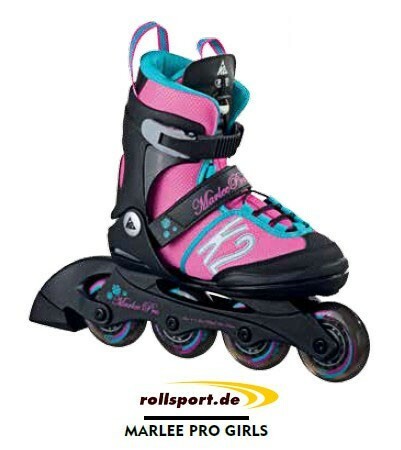 The K2 Marlee Pro Kids Inline Skates carries the colors - pink, light blue and black. The frame from Marlee girl inline skate is an FBI frame. Of course, again a speed lacing system has been installed at the skate.